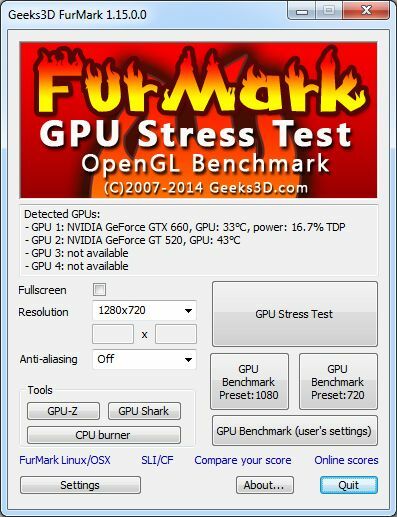 A new maintenance release of FurMark, the GPU stress test and graphics cards nightmare, is available. 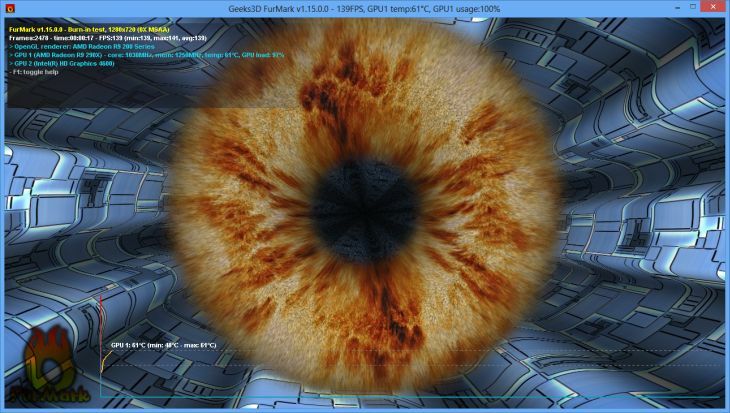 The main GUI (graphical user interface) has been slightly reorganized and the GPU monitoring code has been updated with latest NVAPI R343. 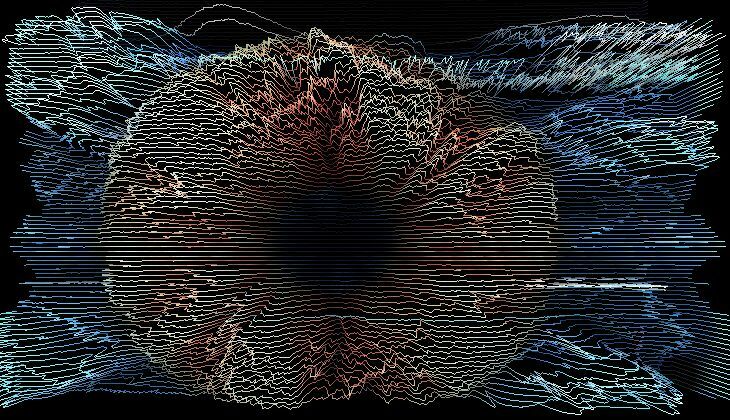 See the changelog for all details. I have a bug, FurMark 1.15.0 indicates my graphics card as radeon r7 265 instead of radeon hd 7850 . Where can I report this bug?